The ILX Hybrid gets a psychedelic tour of the USA. 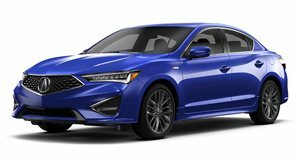 Acura is sponsoring Canadian indie rock and New Wave band Metric&apos;s current tour around the USA and one of the deals they made was that the firm&apos;s new ILX Hybrid would to be the premier groupie. This particular ILX Hybrid, it should be noted, is an Acura like none other. The ILX Hybrid has been fitted with over 7,500 controlled LED lights and 1,149 lines of computerized programming. With screens that boast a total of 7 million pixels and 48,600 frames of content, it&apos;s no wonder it took the Japanese automaker 4,600 hours to design and built the thing. The Acura ILX Hybrid&apos;s interior features a similar light show to the exterior, giving music fans a real 3D experience inside the sedan. Check out the install video below and keep an eye out for the ILX Hybrid if you happen to be going to one of Metric&apos;s forthcoming shows.